Join this community to learn about Skiing as a recreational activity and also a competitive sport. A forum that not just helps you connect with others like you but also provides valuable information regarding resorts, travel, accommodation, equipment, weather, events. So start a discussion, plan trips and share experiences. 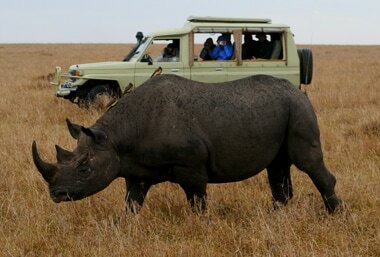 The term wildlife safari used to be associated with big-game hunts. Nowadays (thankfully), people no longer “hunt” for wildlife but for observing (and capturing on camera) all creatures great and small, in their natural habitats. This is sightseeing out in the Great Wide Open. There are various types of safari experiences, ranging from guided safaris, walking safaris, jeep safaris and fly-in safaris to more specialized types, among them elephant safaris, camel safaris, horse safaris, river safaris, balloon safaris, photographic safaris and accessible safaris for the disabled. 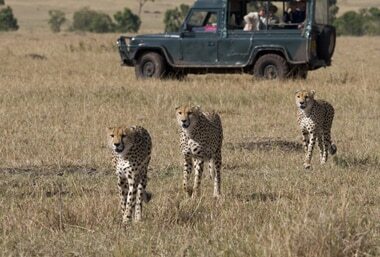 In Swahili, safari means ‘long journey’. The word became part of the English language during colonial Britain’s high noon in the African continent (explorer-soldier Sir Richard Francis Burton is thought to have introduced it into English). But the etymology of the word is Arabic (‘safar’), in which language it means, simply, ‘to make a journey’ (‘safariya’ means ‘journey’). A safari can refer to any journey, but it has increasingly come to be associated with a trip out into the bush to watch and photograph wildlife. And safaris are not restricted to tourism; in their line of work, naturalists and wildlife biologists can also be said to be going on ‘safari’. From its beginnings as a pursuit of colonial explorers – out all day spotting and chronicling wildlife (and, more than occasionally, shooting it), spending evenings boasting about their exploits over a whisky and soda – the wildlife safari has grown into a lucrative tourist industry. While some safaris end up being nothing more than money-making enterprises, with little understanding of wildlife and wildlife habitats on the part of the operators, many follow conservationist ideals, and a philosophy driven by respect for the environment. In a number of African countries, tourism based around safaris is the single biggest earner of income, overtaking agriculture in what were primarily agrarian societies. Safaris lead the way in ecotourism, educating people on wildlife ecosystems and how best to conserve them; on safaris, travelers can observe animals (and birds) from afar, without disturbing their peace. But there is an increasing interest in wildlife safaris, and the challenge is to offer travelers a genuine game-reserve experience without intruding too much on wildlife’s space. India boasts a range of habitats, and an amazing store of biodiversity. Although poaching is a serious issue, a safari here still offers one of the best chances on earth to get up close with wildlife in the natural habitat. In India, one is constantly surrounded by animals – the Hindu faith worships creatures like the elephant, the monkey, the bull and the peacock. India ranks ninth in the world for the number of animal species (over 400), and also has 12 percent (approx.) of the planet’s birdlife. Altogether, the country has almost 450 wildlife sanctuaries, close to 100 national parks and 18 biosphere reserves. 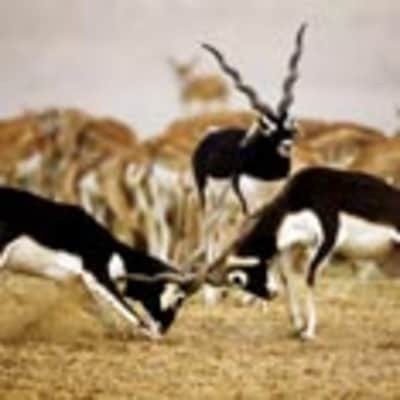 Among some of the many highlights, one can visit the oldest tiger sanctuary in the country (Corbett National Park), see gharials (crocodiles) at the only reserve dedicated to these water mammals (in Chambal), admire the abundance of avian species in Bharatpur, set eyes on the Bengal Tiger (Sundarbans) and the magnificent one-horned rhino (Kaziranga) out east, and spot elephants and tigers down south (Nagarhole, Bandipur, Mudumalai, Wayanad, Eravikulam, Periyar). Know more about popular options for Wildlife Safari Tours in India. A pair of binoculars, a camera – and plenty of patience! For the big animals, it’s recommended that one visit early on in the year (from March to May). Over winter, there’s comparatively less rainfall, and this elongated dry spell means there is less green cover. Spring and early summer, therefore, is the time of year when wildlife ventures out into the open to look for water. For birding, the winter months – between October and February – are perfect. Do, though, check with the national parks and sanctuaries for details, and to find out which season is peak. 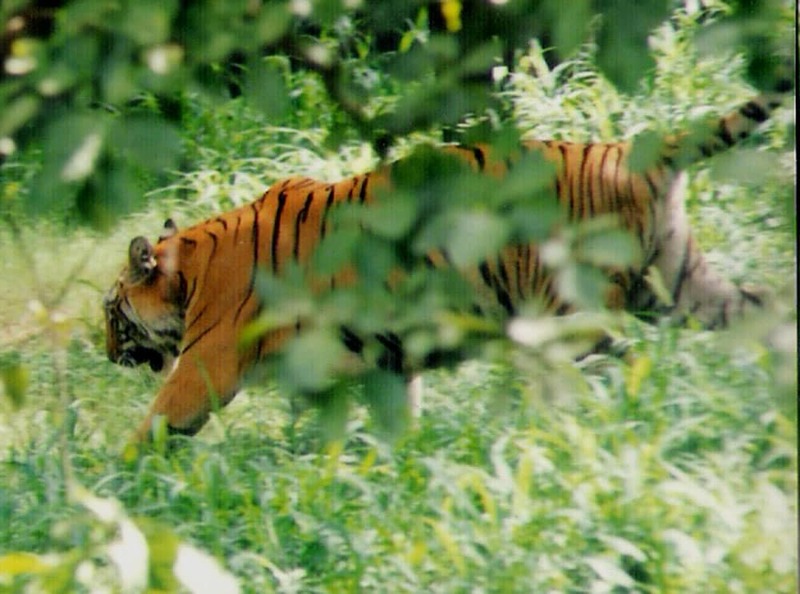 The states of Madhya Pradesh (Bandhavgarh, Kanha, Pench) and Karnataka (Bandipur) are tiger territory, though the Sundarbans can also offer glimpses of this king of beasts. To see elephants, head south (Mudumalai, Nagarhole, Bandipur, Wayanad Wildlife Sanctuary); the Nilgiri Biosphere Reserve, incorporating these sanctuaries, and straddling the gorgeous Nilgiri Hills, has a sizeable population of elephants. Up north, Corbett and Rajaji (Uttarakhand) also have a sprinkling of pachyderms. For leopards, visit Bandhavgarh. The majestic Asiatic lion can be easily spotted at Gir National Park, while the wonderfully elusive snow leopard can be found (if you’re lucky) in the Himalayas (try Govind Wildlife Sanctuary & National Park, in Uttarakhand – you’ll also see bears, of both the black and brown variety, here). For the one-horned rhino, of course, Kaziranga (Assam) is the place to be. If you’re a birder on the lookout for iconic species, make your way to Nalsarovar Bird Sanctuary (Gujarat) for the flamingo (and other wetland birds); to Keoladeo (Rajasthan) for the dreamy spectacle of flocks of migrating birds (and parakeets and sunbirds); and to Vedanthangal Bird Sanctuary (Tamil Nadu) and Ranganathittu Bird Sanctuary (Karnataka) for water species like cormorants, herons, ibises and storks (among others). To get the most out of your wildlife safari, it’s advisable to arrange for a decent guide who knows his or her surrounds. A good, knowledgeable guide is hard to find but if you make the effort, it will add appreciably to your safari experience. If you’re taking your own vehicle, make sure to check with the park authorities whether it is allowed – some parks are strict about which type of vehicle can enter the premises. Lastly, with it being likely that you will be out and about for a fair amount of time, do carry water, food and sunscreen with you. There’s no medical condition that will stop the nature and wildlife enthusiast from going on a safari – so long as the sudden appearance of a beast of the wilds doesn’t get your nerves jangling, or your heart pounding too much! Since you’re out in the open, in the territory of the animal kingdom, please respect the wild inhabitants and their habitats. Do not litter, and be as discreet as possible – switch off mobile devices, keep your voice low, and click photographs at a respectful distance so as not to disturb the animals. Remember, you’re on someone else’s patch! Save the peak of summer and the depth of winter, the rest of the year offers a superb climate for sighting wildlife - not too warm, not too chilly. But if you're keen on visiting game reserves and wildlife sanctuaries in off-season(and are not tooput off by extreme of weather),take a chance- you might be pleasantly surprised by some sightings. But do check with the parks if they admit visitors during thesemonths.